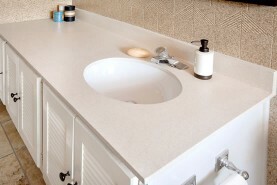 Whether it’s a kitchen countertop or a bathroom vanity, Miracle Method can refinish almost any countertop. 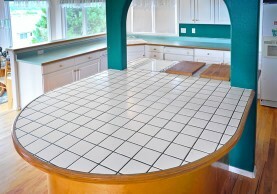 Solid surface (laminate countertops, Corian®, Formica® countertops, Silestone®) and ceramic tile countertops can be refinished at significant cost savings over replacement. 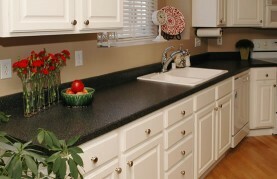 Refinishing can be done quickly and without the mess of a replacement job. 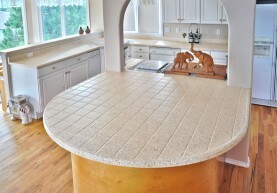 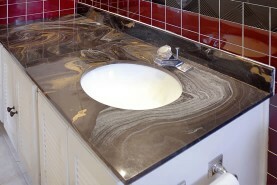 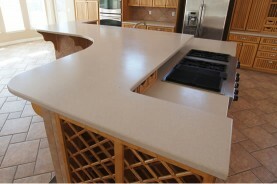 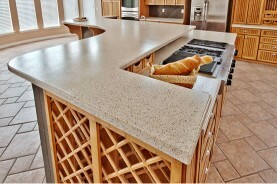 Solid surface countertops like Corian and Silestone can be brought back to life! 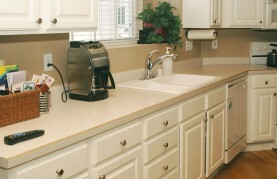 Cultured marble tops can be updated in 2 days or less with no messy demolition!